Many golfers ask me what is the best destination for golf in Thailand. My answer is always ‘it depends”. For those who like a sunny beach destination, then the best golf in Thailand is either Phuket or Hua Hin. On the other hand, Thailand golfers looking for more authenticity and value-for-money would like golfing in Chiang Mai and Chiang Rai the best. Next up are golfers in Thailand who are here for only a short break and want a taste of Thailand’s best shopping. In this case, Bangkok has by far the best golf in Thailand with over 60 courses to choose from all located 30-60 minutes from the city center and many local markets where everything under the sun is on offer at reasonable prices. For the best golf and partying, golf in Pattaya is the choice. The resort’s nightlife is infamous and there are over 20 Pattaya golf courses to select from. Finally, for those coming to golf in Thailand and wanting to be away from the tourist areas, golfing in the Khao Yai National Park or a River Kwai golf package might just be what fits the bill. Khao Yai is scenic and natural, with around 10 golf course scattered around the region. River Kwai (or Kanchanaburi) borders Myanmar. 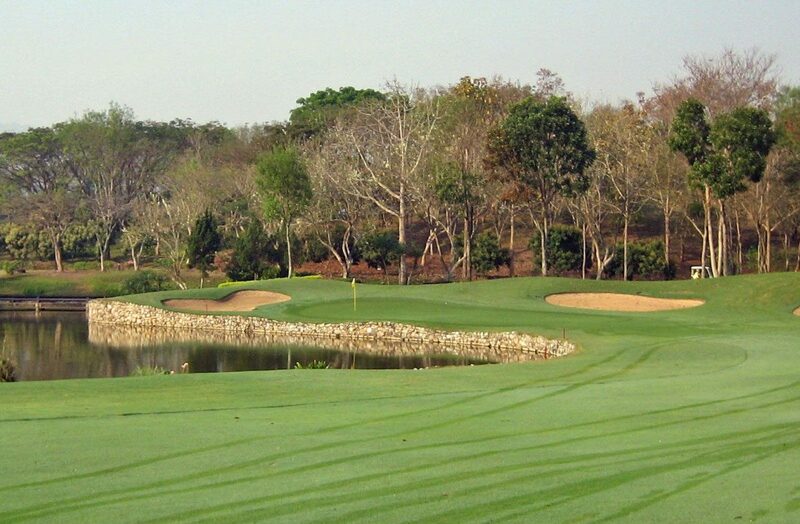 While famous for its historical sights, the River Kwai area is a good Thailand golf destination for those wanting good golf off the main tourist trail. In the end, it all comes down to personal preferences. For me, I golf in Chiang Mai when I want a relaxing golf trip and Hua Hin when I am looking to combine a beach outing with championship golf. However, no matter what Thailand golf destination works best, you will find never ending Thai smiles and world-class hospitality service at every golf course and resort throughout the kingdom. Remember, it is not only the golfing, but the “Thai Golf Experience” when you “Golf In A Kingdom”.